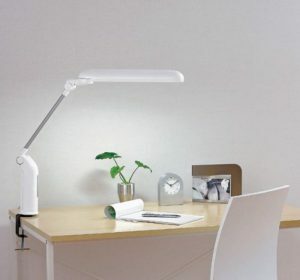 Desk light is an essential item in keeping your study or work space well lit. There are a lot of types and designs such as clamp type or USB type, LED light that can save more electricity and some of them have different features too. Choosing the right one for you can be very hard. We will show you the best way to choose desk lights, and the top 10 desk lights available online in rank order. Your productivity will surely improve in a well-lit environment! Desk light specs contain a lot of technical terms and can be hard to understand if you are not an expert. There are some people that base their decision just on design and ease of use. We will first discuss the basic knowledge that can help you aid in choosing the best desk light for you. 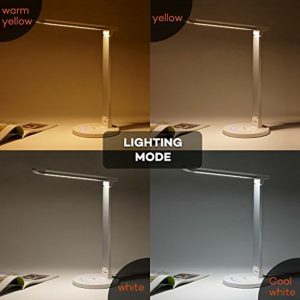 Desk light, just like other lighting equipment, is becoming popular nowadays because of their LED lights, known to consume less electricity with longer lighting life. LED lights are becoming more common and affordable these days, but fluorescent lights are still significantly cheaper. There are some people too who don’t like the brightness of LED lights and therefore sticking to fluorescent light. There are a lot of terms in desk light specs, but the most important terms to remember are: “lm”, “lx”, “K”, and “Ra”. LED lights consume less electricity than fluorescent lights, making it harder to compare its brightness by watt (W). LED lights use lumen (lm) to express its brightness. Lumen express the amount of light emitted by the light source. The higher the “lm”, the brighter the light. Lux (lx) measures the light intensity, meaning the brightness of the environment around the light source as perceived by human eye. The light source may be the same, but the light intensity becomes lower (darker) as it gets farther from the light source. The ideal lx for reading is around 500 lx. The illumination light has a different color temperatures from white, to deep yellow. The color temperature is represented by “K”. The lower the “K” is, the more warm and yellowish the illumination will be. Higher “K” means whiter and brighter illumination. The appearance of the color depends on the light source, and it is called color rendering. 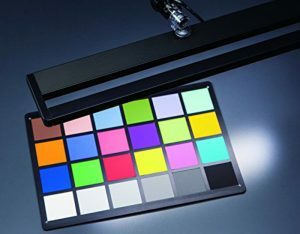 The light source’s color rendering properties are represented by the average color rendering index (Ra). The highest Ra is 100, and the higher the Ra, the more natural the color rendering. Basically, Ra above 80 is the most ideal and most natural, and said to be gentler on your eyes. 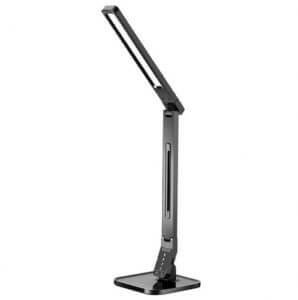 Adjustable brightness and angle is the most popular feature that buyers look for in a desk light. You may need to adjust the brightness depending on what you are doing, from reading a book, to computer works. Adjusting angle will be convenient when you want to focus on a spot, may it be on your desk or not. The installation type and the power supply type can also be chosen depending on your study or work environment. Check first the space you have before choosing one. For those who want to keep their table neat and organized, the clamp type desk light is best. But the clamp part of the light will protrude, so you need a little space around your desk. There are desk lights with USB as their power supply. The brightness and illumination can be less powerful than those with power (socket) outlet, but they are more portable and you can use them anywhere. A rechargeable wireless type is also convenient as a spare light. Now we move on to the ranking list of the most popular desk lights. They may have a simple design, but the size, brightness, installation type will make each product unique from one another. Hope you can find the desk light that solves all your desk problems, and up your productivity once and for all! 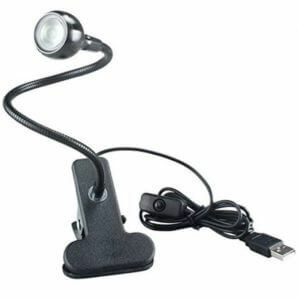 This tiny desk light is perfect for those who want an additional light on your desk, like a spotlight on your hands for when you are working on a small and detailed job. Also highly recommended for bedtime reading. A lot of reviews also mentioned this product’s durability with a combination of alloy and plastic as its materials. One con for this product is that the bulb might be a little hard to replace once it runs out. The seller actually discourages replacing the light bulbs on your own if you’re not knowledgeable. 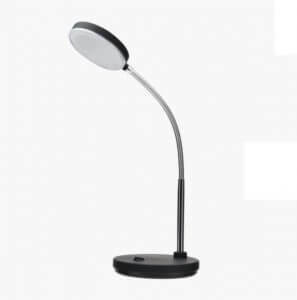 This 40W desk lamp has a long metal neck that you can move around, pull over, or fold compactly when not needed. This is highly recommended for people who usually work at big desks, like architects, engineers, or artists. This product has the brightness to light your whole area, and the ability to provide you a spotlight when you need to write in or draw the small details. This desk light might not be advisable if you have a limited space on your desk. This desk light is perfect for those who are obsessed with keeping their desk neat and organized. You can clamp it on your desk for more space while you are using it, then you can fold it when not in use. It can also stand on its own, if you don’t have enough space around your desk. When fully charged, this can go on for 3.5 hours in bright light, and 6 hours in weak light if not connected to power. You can compactly store it away when you don’t need it. The bad thing about this product is its limited angles. 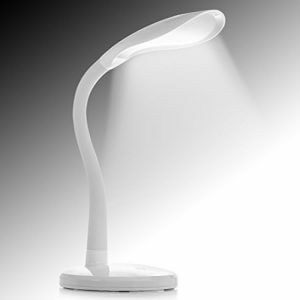 This 300 lm desk light is one of the most affordable LED desk lights available online. 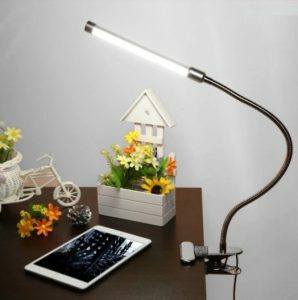 If you are on a tight budget and still want a good quality desk light that consumes less electricity, then this is the perfect desk light for you. This can also be perfect as a gift to your colleagues or your boss. With its long adjustable and flexible neck, it will surely satisfy a wide range of users. The brightness is more on the dim side, highly recommended for those who hate the bright white light. 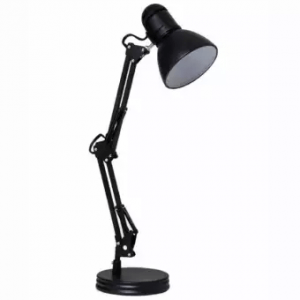 If you know you are going to stretch, bend, and move your desk light for a lot of times, it might be reassuring that you know your desk light has the durability to endure all that movements. 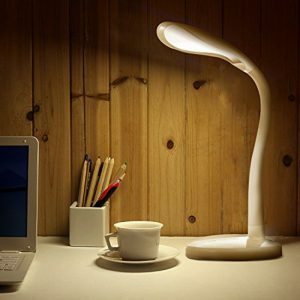 This desk light is made of Aluminum alloy that is finished, polished, electroplated, anodized surface. It does not have a battery with it, so you can’t use it without a USB outlet, but you can also use power banks to light this one up. Its LED light source is also known to be gentler to your eyes, with no radiation, ultraviolet rays, etc. It has 400-600 lx, so it suits most of your desk activities like study, work and reading. You can control the brightness of this light with the length of one touch. 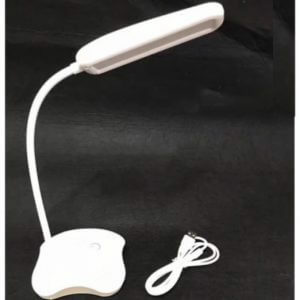 While other desk lights have 3 levels or 5 levels of brightness, this desk light has various levels that can be adjusted with a prolonged touch. 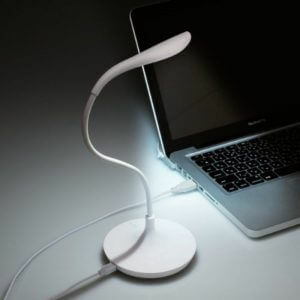 If you are sensitive about the brightness of the light, this might be the best desk light for you. 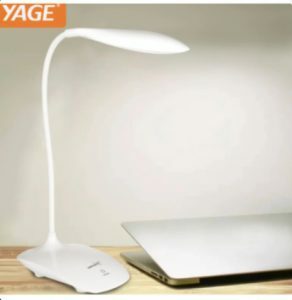 This desk light uses rechargeable Lithium Polymer battery, that can brighten your desk for 12 hours straight with a full battery, with a maximum brightness of 600 lx. You can move its neck for 360 degrees too, for more convenience. This desk light is more than just a desk light because of its portability and ability to be powered by 3 AA batteries. You can bring this on your camping trip, use it as emergency light during blackouts, or use it in your garage while doing some car stuff. Of course, it does a great job too as a desk light. 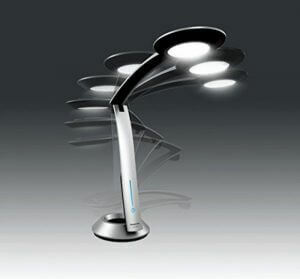 You can adjust its brightness to 3 levels to match whatever work you are doing with this light. The light can last up to 100,000 hours making it very environmentally friendly too. Protecting your eyes is one of the very important roles of a desk light. 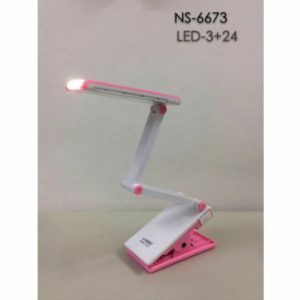 This 960 lm desk light is developed to keep your study/workspace as comfortable as possible with its modes and 5 brightness levels while protecting your eyes from the light it is emitting. It has a light diffusion plate to make sure light is evenly distributed and has anti-flicker feature too. It has 4 different modes such as study mode, read mode, relax mode, or sleep mode. These modes will give you different color temperatures to make sure you have the perfect lighting in whatever you do. This desk light is perfect for everyone in the family! We introduced a lot of desk lights with different features, how was it? Look at each product closely to find the best one for you. Finding the perfect desk light can also mean saving your eyes from the harsh light!